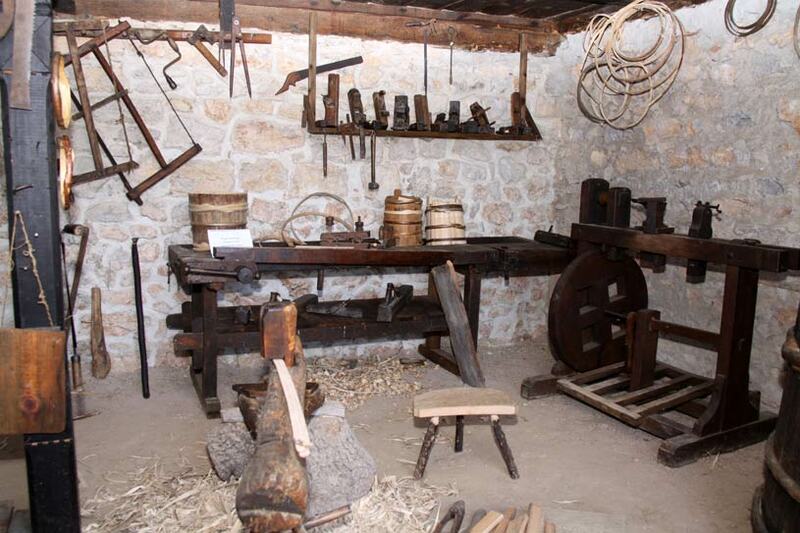 The gifted individuals of Zlatibor villages were engaged in various trades and crafts to satisfy their basic needs. Since the entire area is rich in various types of wood (pine, fir, spruce, oak, beech, ash, maple, elm, birch, hazel), its application was diversified. 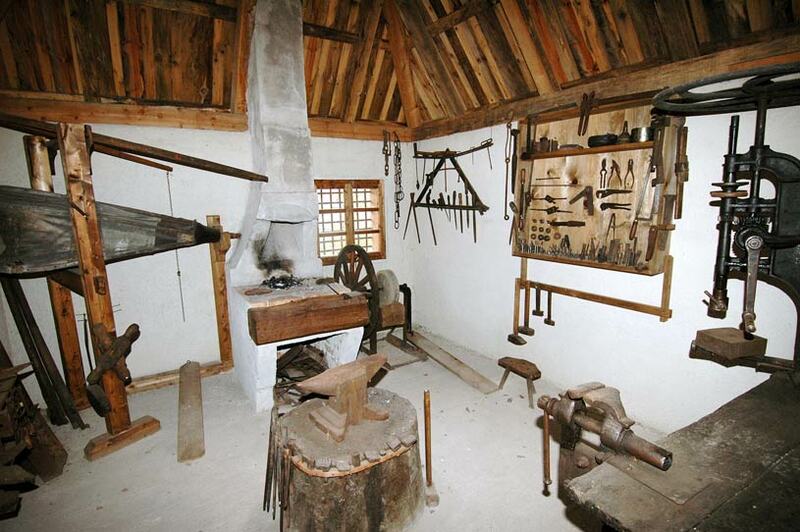 Skilled builders constructed wooden dwelling places as well as supporting economy facilities. 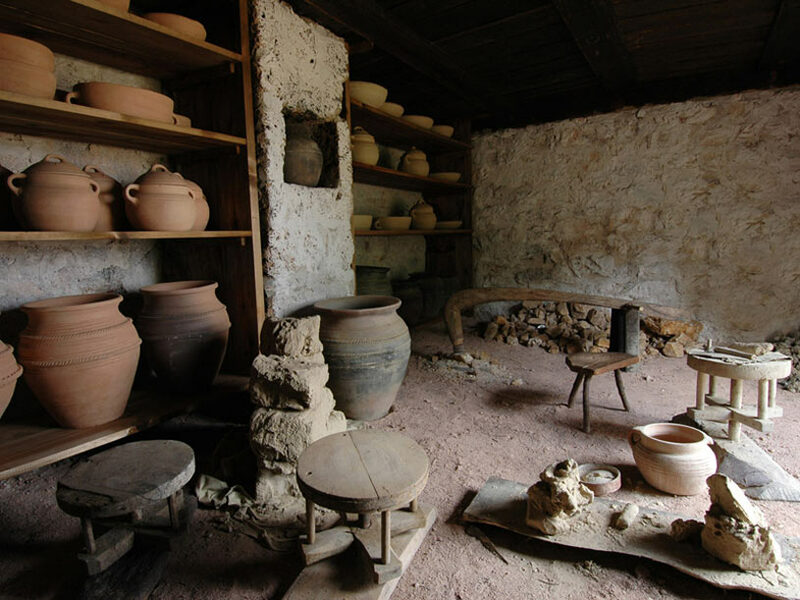 The largest part of the household utilities – dishes for preparing and storage of food, agricultural tools, means for transportation of goods and people were made by carpenters and woodcarvers, coopers, carters, basket weavers and water-bottle makers. The crafts dealing with processing of clay, textile, leather and metal were developed: pottery, tailoring (terziluk, abadžiluk), making traditional footwear (opanci), blacksmithing, and also transport and goods selling (kiridžiluk, rabadžiluk), as well as production of tar, burning pinewood splinter and lime.